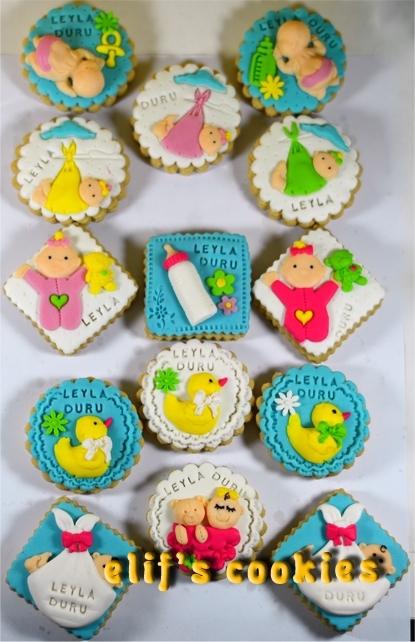 If I were supposed to give birth today, I would have chosen these cookies for my hospital guests (maybe I still have the chance for a second baby!). 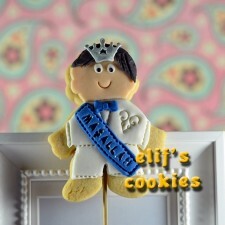 Probably because, I have decorated tens of thousands of pale pink and pale blue cookies. 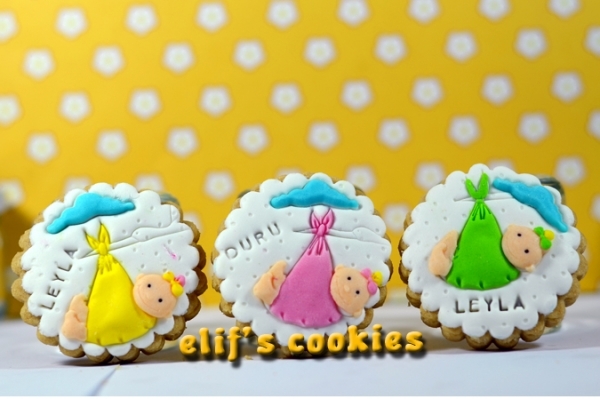 I really love different concepts and ideas when it comes to cookies. 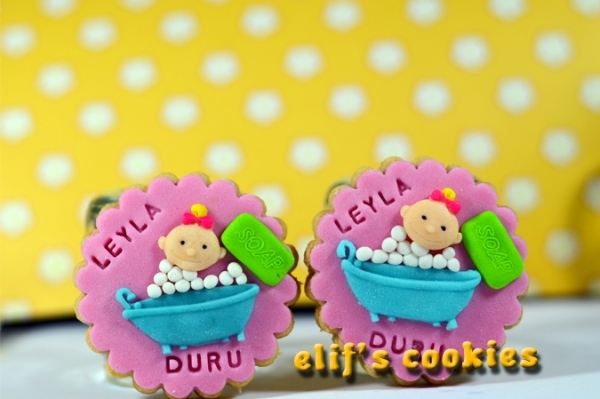 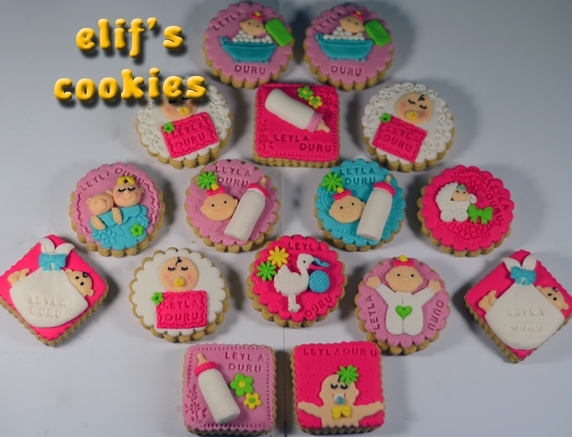 I hope you’ll love them too…these are the latest products from Elif’s Cookies Facility.